March 31st is the last working day of a financial year. March 31st is the last working day of a financial year. There are a number of tax-related tasks that need to be finished before this important deadline. Here is a checklist for you to see if you have missed something. 2. Late filing of tax return for FY 2017-18: Generally, July 31st is the deadline for filing the income tax return for a year while last year it was extended till August 31st. However, if you still haven't filed the income tax return for last year, you can file a late return till March 31st, 2019 after paying a penalty of Rs 10,000 for those with taxable income above Rs 5 lakh. For those with income up to Rs 5 lakh, the penalty is Rs 1,000. "If you don't file the return till March 31, 2019, then you will have to go for condonation of delay. You will have to go to the commissioner to explain why you have not filed the return in time. Also, those who have refunds will be in the loss as they won't get it till they file the return," says Sudhir Kaushik, CFO, Taxspanner.com. 3. Filing revised tax return for FY 2017-18: In case you get to know that by mistake you have committed an error or omission while filing an income tax return, it is possible for you to rectify the mistake by filing a revised return. Earlier, you could file a revised return for a period of up to two years from the end of financial year for which return is being filed. In the year 2017, the time period was reduced to one year. Therefore, you can file the revised return for the year 2017-18 by March 31, 2019. 4. Income declaration in case of job change: If you have changed job during the financial year, it is important that you declare your income for the previous employer to the current employer. In case you don't do that, your employers may calculate your tax liability after accounting for the deductions again, thus under calculating your tax liability. In this case, while filing of return you will have to pay the additional tax in one go which may stretch your finances. Therefore, declare all the details regarding the incomes and tax deducted by the previous employer. After you submit Form 12B, your employer will issue you a consolidated Form 16 which will be required at the time of filing of income tax return. 5. Submit proofs to your employer: At the beginning of the financial year, we all make declarations to our employer regarding the investments that we will be doing during the year. The employer deducts tax on the basis of those declarations. Generally, the employer asks for submitting the investment proofs before March 31st. If you are unable to do this, the employer will deduct the tax from the March salary. To avoid that submit the proofs before March 31st. "Generally, those who have bought house claim deduction with respect to the principal and interest paid on the home loan. But if you haven't got the possession you can't claim the deduction and hence will have to declare it to the employer," says Kaushik of Taxspanner.com. 6. Linking of Aadhaar to PAN: You need to link your permanent account number (PAN) to your Aadhaar for the filing of income tax return. As per CBDT circular, "The constitutional validity of Aadhaar has been upheld by the honourable Supreme court of India in September 2018. Consequently, in terms of section 139AA of Income tax of India Act 1961 and order dated 30.6.2018 of the CBDT, Aadhaar-PAN linking is mandatory now which has to be completed till 31.3.2019 by the PAN holders requiring the filing of income tax return. 7. Linking of PAN and Bank account: Most of you would have already linked your bank account to your PAN but in case you haven't, you need to do it before March 31st, 2019 as per CBDT circular to get your refund. The income tax department will only transfer refunds online to your bank account, if you haven't linked your PAN with your bank account you won't get the refund. 8. Submit form 15G/15H: If you don't have a taxable income you need to submit form 15G/15H with your bank in order to avoid TDS deduction on the interest earned. 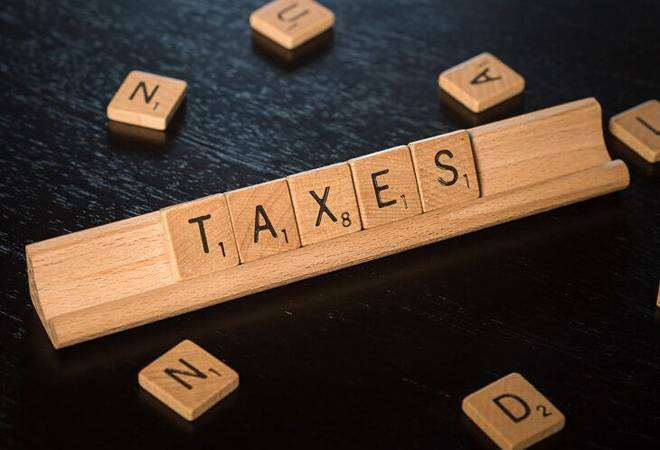 Banks generally deduct TDS in case the interest income is more than Rs 10,000 (limit raised to Rs 40,000 in the interim budget 2019) across the accounts. To avoid this you need to submit form 15G/15H as soon as possible with your bank. 9.Check for the capital gains tax: In case you have incurred capital gains during the year, it is better to pay the capital gains tax before March 31st, else you may have to pay it with interest at the time of filing of the return. 10. Check Form 26AS: Your tax credit statement or Form 26AS shows the TDS (tax deducted at source) deducted from various incomes during the year. You need to check that the TDS deducted has also been paid to the tax department to avoid any penalty or hassle. Who are the people behind Rahul Gandhi's NYAY?